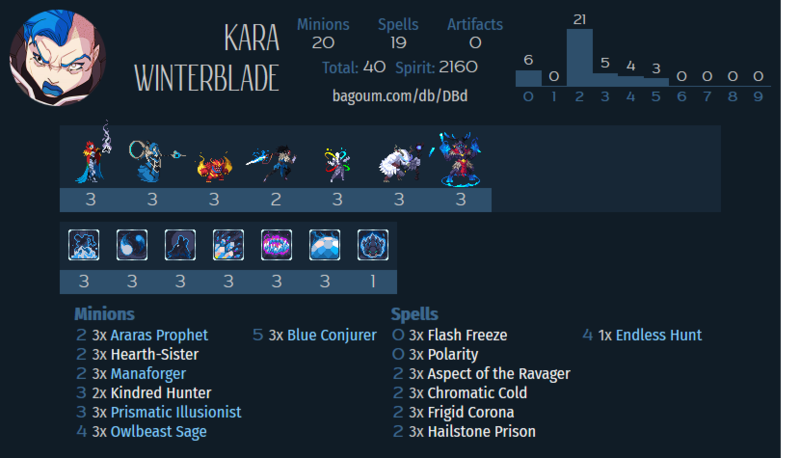 Once a monster of a deck, Vanar Arcanysts is now a fine option as a value deck, with a few neat tricks. Most of the minion shell for it available as neutral rares it makes a good budget option also. Slight update from my article because of the nerfs to Mana Deathgrip, and without the self-imposed hard 2k spirit limit we can turn mystics into prophets. A “Slowfurnace” variant that can go well over the top of most decks while also providing a lot of burst damage. A competitive Arcanyst Lilithe deck. Ramp out your Arcanysts, and let their tribal synergies take over. Includes spell recursion and late-game bombs. A midrange arcanyst deck that utilizes cheap spell synergies to take control of the board and build one simultaneously. Going wide with Arcanysts, with two potential combo finishers. Snowball a board with key arcanysts and plenty of spell synergy.